Lisa Alexander is a product of the Victorian high performance pathway, having played and then coached at both under-age and Open level in the navy blue. Alexander’s home state has provided five of the Diamonds’ team named to contest the upcoming Quad Series and Constellation Cup competitions. Tick, tick, tick. Liz Watson and defenders Jo Weston and Emily Mannix have all been selected to play against New Zealand, England and South Africa next month, while also being reminded by the national coach that retention for the annual trans-Tasman series to follow will, as always, be strictly performance-based. Thus, the door remains open for fellow Vixens’ squad members Kate Moloney and Tegan Philip, who have missed out - for now, at least. “We’ve made it very clear that there could be changes between the two series, based on performance, injury and illness,’’ says Alexander, in charge of the Australian team since 2011. Cheltenham-raised Alexander’s own representative experience started as a player at Victorian under-21 level back in 1983, and continued through to the Open team from 1985-87. As a coach, she then worked her way up from the under 17s in 1991 to Open level in 1997, before coaching the Melbourne Kestrels in the inaugural Commonwealth Bank Trophy season. Alexander believes Victoria’s strong presence among the Diamonds’ 12 - which extends to Caitlin Thwaites and Kelsey Browne - is validation of the state system’s role in producing Diamonds to compete at the pinnacle of the sport. 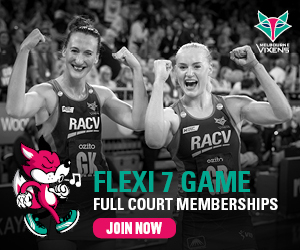 “If you look at the states where those players are from, Victoria is very well represented in the Australian netball team, so that is a testament to the pathway, and the work that’s done,’’ Alexander says. “It’s hard to get into Victorian state teams, that’s the other thing, so players have to work hard at their skills and their fitness and their game play to make sure that they are at the very top of their game even to make a state under-age team. LIZ WATSON: “It’s not just that ability to deliver time and time again and have the enormous work-rate that she has; it’s the really wonderful skill touches, her ability to finish and to actually create play for her shooters that I’m seeing now that’s taken her game to a whole new level. “And also her defensive work. Lizzy’s one of the Wing Attacks who gets ball back most and works very very hard on her defence. And she’s got that ability to work into the centre position as well, so it’s a credit to her and the work that she’s put in, and also to her Vixens teammates in supporting her to be the best that she can be this season. “I’ve seen growth in Jo’s game this year. She’s been able to knuckle down and do that really hard one-on-one grinding work, and still get touches of ball here and there. We’d like more of that, we’d like more hand on ball, and we know Jo’s working hard on that. “I saw a strengthening in Emily’s game and a belief in her own ability. She’s starting to really understand what her body can do out there. She’s quite flexible in that she can mould her body to her opposition really, really well and get to balls that you just don’t think she’s going to get to. By Linda Pearce, multi-award-winning netball writer with over 30 years experience.